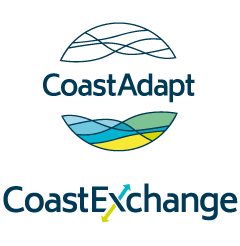 CoastAdapt provides 13 short reports that highlight potential climate change impacts on different goods, services and sectors in the coastal zone. These Impacts Sheets are intended to help coastal practitioners and decision makers understand the potential range of coastal climate risks that they may need to consider in adaptation planning. If you are seeking a general guide to climate change impacts in the coastal zone, please visit Overview of likely climate change impacts on the coast. CoastAdapt’s Coastal Climate Adaptation Decision Support Framework (C-CADS) provides guidance on determining risks, and on identifying and prioritising appropriate adaptation actions. For more information see Using C-CADS.